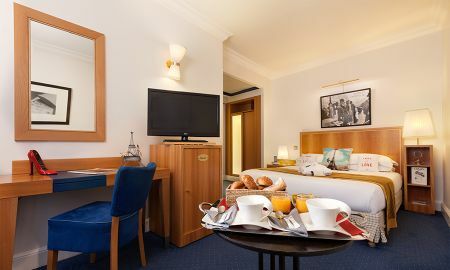 Ideally located in the heart of the 16th arrondissement, in a quiet and peaceful street, the Waldorf Trocadero is ideal for both business travelers and tourists. 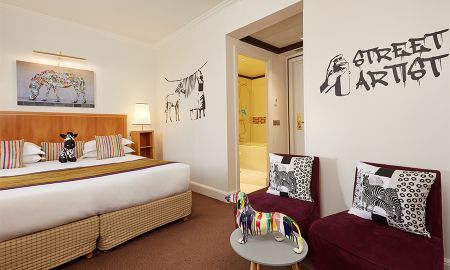 The hotel offers an intimate and contemporary interior design. The 44 rooms combine charm and elegance. They are cozy and have modern amenities. Everything has been implemented to offer maximum comfort. The attentive staff will look after your well-being throughout the stay. 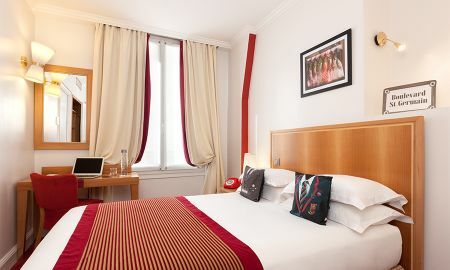 The Waldorf Trocadero Hotel is the ideal starting point to discover the city. 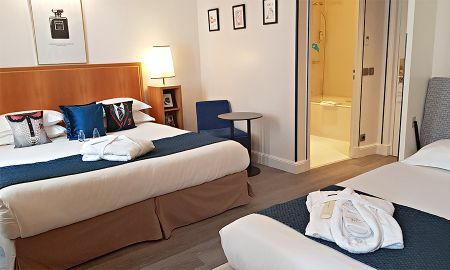 Located between the Eiffel Tower and the Arc de Triomphe, it is also just a few steps from the Trocadero esplanade and close to the famous Avenue des Champs-Elysees, Avenue Montaigne, the banks of the Seine and the Arc de Triomphe. Congress Palace. 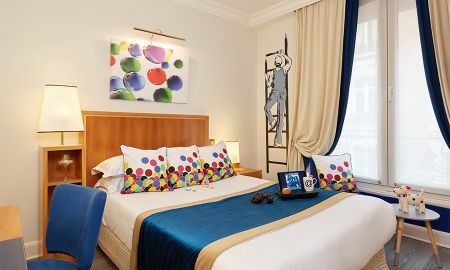 Enjoy the many Parisian restaurants, chic cafés with their beautiful terraces overlooking the Eiffel Tower, fashion boutiques and museums located not far from the hotel. Trocadero Metro Station (line 9) is 800 meters away and offers quick access to the Opera district. The Quai de l'Alma, Avenue Montaigne with its luxury boutiques and the famous Golden Triangle are just a few metro stops from the hotel. A dinner on the flying boats guarantees you unforgettable moments. Shopping lovers can take advantage of Parisian fashion shops on Avenue Victor Hugo, a few minutes' walk from the hotel.